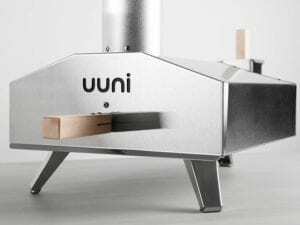 Uuni(Ooni) 3 Wood Fired Pizza Oven- Everything you need to know! 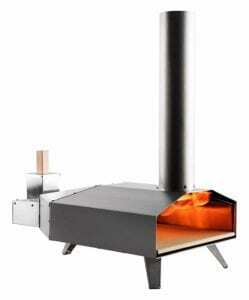 The Ooni (previously known as Uuni) 3 Wood Pellet Pizza Oven is probably the best wood-fired pizza oven in the market. 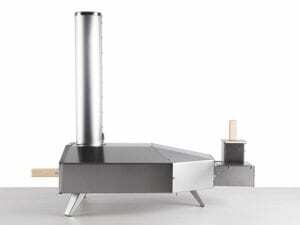 If you are looking for an affordable and portable wood-fired pizza oven then Ooni 3 is perfect for your needs. This wood-fired pizza oven is efficient, retains heat and cooks a pizza within 60 seconds which is amazing. The pizza oven has various other features that make it really convenient to use. If you are looking for a budget-friendly wood-fired pizza oven that works as good as any high-end wood-fired pizza oven then the Ooni could be the closest match. Here are a few things that you would definitely know about the Ooni Pizza oven and why you need one of these at your home. The pizza oven has a nice stainless steel finish that does make it look good, although it would get a little discolored once you start cooking inside the pizza oven. 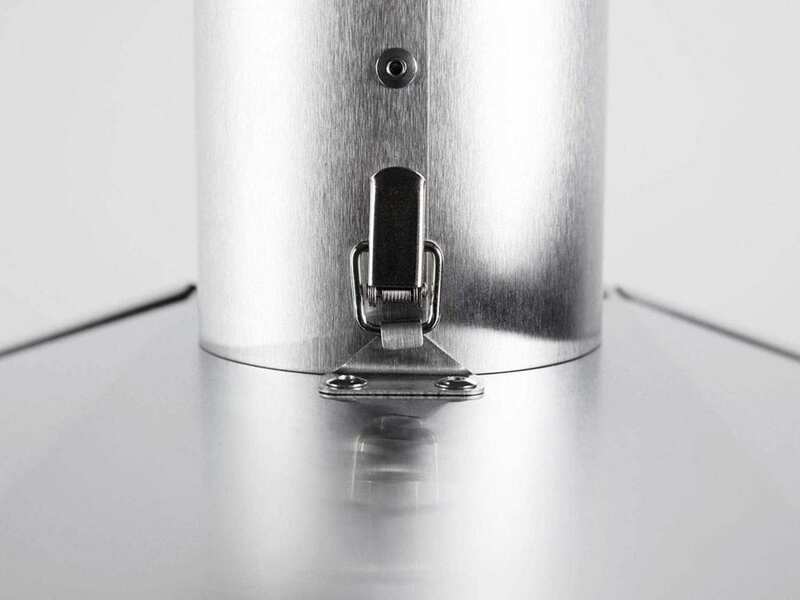 The pizza oven is pretty good when it comes to heat retention, if you are using wood pellets you might want to keep the hopper filed at all times and you do not want the flame to go off when a pizza is being cooked inside the oven. 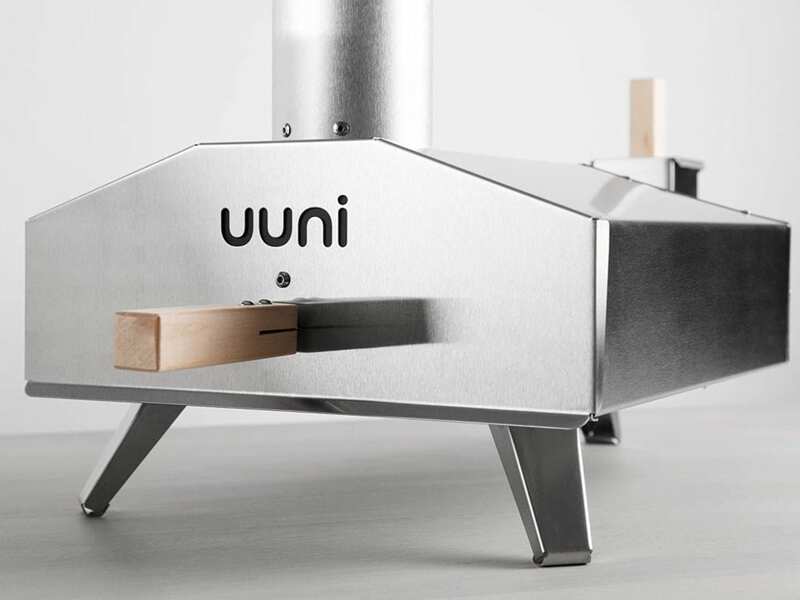 The Uuni 3 is a multi-fueled pizza oven as you can use wood, wood pellets and gas as a source of fuel. Recently, Uuni has introduced the gas burner which has to be bought separately but it is worth every penny. The pizza oven is really light in weight so you can easily put it inside its dedicated bag and take it with you to trips. 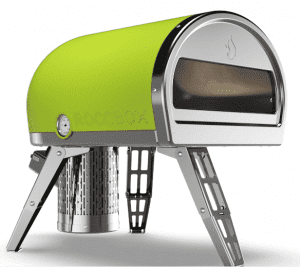 The Chimney on the Uuni 3 is detachable making it way more portable and easy to carry around. There is a hopper at one end of the pizza oven where you would burn the wood pellets. The cover of the pizza oven has an insulated handle which makes it really easy to make pizzas inside the pizza oven. The wooden handle of the door makes it really easy to slide a pizza in and out. The whole process of cooking a pizza is really easy and amazing inside an Ooni 3 Pizza Oven because of its effective design and functioning. The Ooni 3 Pizza oven is multi-fueled so you can use wood pellets, wood, and even gas to get the fire started inside the pizza oven. The gas burner which has been included recently makes cooking inside the Ooni 3 easier as you do not always have to carry around a bag of wood pellets. While you are using the wood pellets to cook pizza inside the Ooni 3, you have to keep checking as they burn out really fast. You might want to keep adding pellets inside the hopper and make sure that the fire does not go off. If you do not want to keep that hassle then you can easily switch to the gas burner and start cooking pizzas inside the oven. The Ooni 3 Pizza oven can easily reach temperatures upto 900°F which means that you get crisp base along with the perfectly cooked toppings. A pizza can be cooked in 60 seconds which is pretty quick and you can actually cook a couple of pizzas within a few minutes with the Ooni Pizza Oven. The pizza stone helps in cooking the base of the pizza evenly and it gives you the perfect crispiness and smokey flavor that you usually want from a wood-fired pizza oven. Something that we really love about the Ooni Pizza Oven is that it helps in cooking the pizza really quick so you can easily serve a small group of people. This oven has a detachable chimney that reduces the size of the pizza oven and that makes it really easy to carry around. You can put it inside a bag and take it with you on your camping trips. Considering all the amazing features on the Ooni Wood Fired pizza oven, we have to say that it is probably the best pizza oven you get for that price. 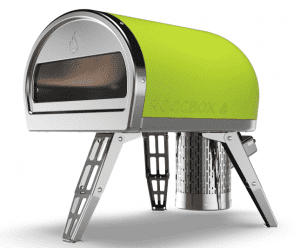 You get a multi-fueled pizza oven that cooks any pizza within a minute and it gives a nice authentic taste to all the pizzas that are cooked inside it. The pizza oven is really light in weight and you can easily set it up on a countertop outdoors and get started with making pizzas within a few minutes. Setting up the pizza oven would take you about 20 minutes and you do not need any extra tools to get started with assembling the pizza oven. Overall, the Uuni 3 is worth every penny and even more. Do check out the pizza oven and let us know what you think about it in the comments down below! In the case, you have any experience with the Uuni 3 then leave them in the comments below as it would definitely help our readers! Uuni 2s was a hit among people as they could get a really nice affordable wood-fired pizza oven which is portable. Honestly, the Uuni pizza ovens have been a game changer to anyone who wants to have an outdoor countertop pizza oven. Not only do they ace in performance and the taste of the pizza, they even cook really fast and are extremely easy to use in a way that everyone wants to get one of these for their homes. Coming to choosing between the two pizza ovens, this might be a difficult task and that is the reason we have this comparison post so that we can differentiate the features between both the ovens. It is obvious that the Uuni 3 is better designed and has a slightly better performance but if you are looking for some major differences or if the Uuni 3 is worth the upgrade then do give this post a good read. The pizza ovens are slightly different when it comes to the design. 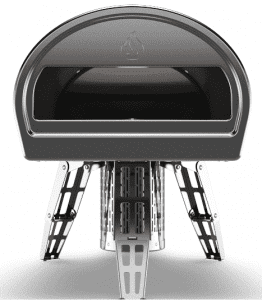 The Uuni 3 has a three-legged design for a better stability of the pizza oven while the Uuni 2s has four. The burner on the Uuni 2s is pretty larger and has a slightly different design than the Uuni 3. Overall, the Uuni 3 does prove to have a slightly better and much more efficient design. The Uuni 3 is longer in comparison to the Uuni 2s. The chimney in the Uuni 3 is detachable making the entire pizza oven relatively more easy to carry around when compared to the Uuni 2S Pizza Oven. The inside of the Uuni 3 oven has an additional plate between the flame and the pizza cooking space that avoids the pizza to come in direct contact with the flame causing it to burn. This was not there in the Uuni 2s and is an added advantage as it helps the pizza cook better. The door of both the pizza ovens has a similar design with a wooden handle that makes closing and opening the oven really easy even at high temperatures. 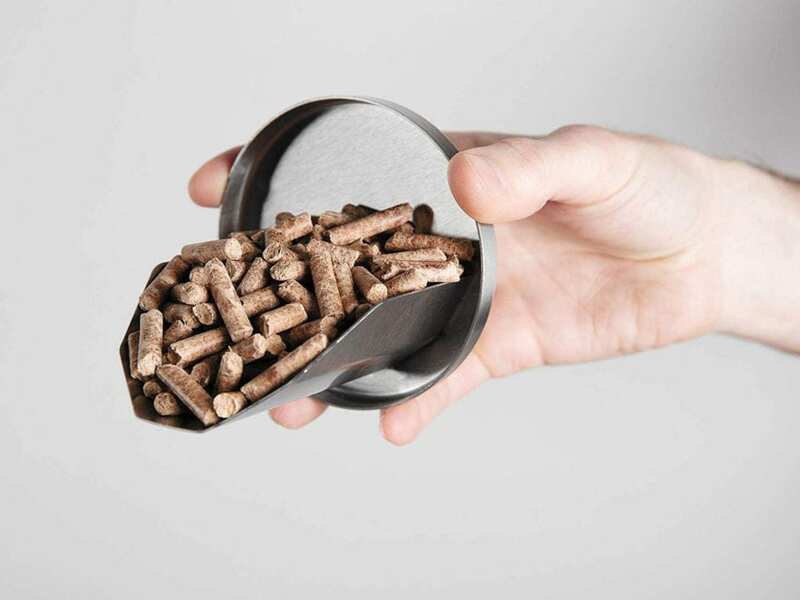 The Uuni 2S could just be used with wood pellets which is a nice way to get everything started but the wood pellets do burn out fast and you need to keep putting more inside the hopper. You even need to make sure that the fire inside the pizza oven does not go off as that can make your entire pizza go black with all the soot inside the pizza oven. With the Uuni 3, you can use the wood pellets or it can even be used with a gas burner that comes along with the pizza oven. 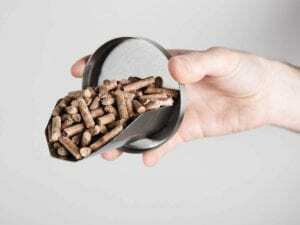 The gas burner works like a charm if you are someone who does not want to worry about the wood pellets and keep an eye on the flame in order to keep refilling the wood pellets. This way you just need to attach the gas burner and cook your pizza without any hassles. The pizza cooked in the oven is amazing with the gas burner as well giving you more reasons to use the Uuni 3. The Uuni 3 has proven to be a much easier oven to cook pizzas even though there is a learning curve with both the ovens. It was relatively very easy to cook pizzas in the Uuni 3 as the pizzas were less prone to getting burnt with the design of the pizza oven. Sadly, the Uuni 2S was poorly designed and even though you could make pizzas in them you had to go through a couple of trails before you finally get to the art of making perfect pizzas with them. Both the ovens could make a pizza within 60 seconds which is pretty good and you need to rotate the pizza with a pizza peel after every 30 seconds so that it is cooked evenly from all the sides. The pizzas cooked in the oven taste very similar to the pizza cooked in a commercial wood fired pizza oven so for the price tag of $300 you are getting some pretty good stuff. As mentioned earlier, the Uuni 3 has a detachable chimney which makes it really easy for someone who is traveling. It is really light in weight so you can easily put it in a bag and take it with you on trips. The Uuni 2s has a non-detachable chimney making it a tad bit more cumbersome to carry it around everywhere. In the case, you are looking for a pizza oven that is portable and amazing you should definitely go for the Uuni 3. Both the pizza oven are really light in weight and you can easily set it up on a countertop outdoors and get started with making pizzas within a few minutes. It is clear from the thorough review that the Uuni 3 was built because it had a better design and a better work mechanism than any of the other portable wood-fired pizza ovens. However, if you have some extra cash to spend you can definitely check out the Uuni Pro which is the ultimate Pizza oven. Considering the price point and everything we would say that Uuni 3 seems like the better investment. The Uuni 2S is sadly not a great match and I would not recommend going for it as the amped version which is the Uuni3 does way better than its predecessor. Update: Looks like the Uuni 2S is discontinued as we could not find the product in stock at the official Uuni 2S page. If you have any experiences with the Uuni 3 Pizza Oven then do share them with us in the comments down below!